What are the top landmarks in Berlin? Catch an event at Olympic Stadium during your trip to Berlin. Discover the lively bars and acclaimed art galleries in this vibrant area. Berlin’s central district is a convergence of quaint residential streets, sprawling Soviet squares and some of Europe’s most revered museums. The glamorous heart of former West Berlin remains one of Berlin’s most coveted neighborhoods and the city’s premier retail destination. One of Berlin’s coolest neighborhoods has a long history of youthful indulgence, a diverse ethnic population and some of the city’s best entertainment precincts. The Friedrichshain neighbourhood welcomes visitors, with its convenient options for bars. Part of the neighbourhood’s charm is its architecture. You can satisfy your cultural palate with art scene and museums. Schoeneberg is a welcoming neighbourhood with many tasty options for restaurants, cafes and bars. For a taste of local culture, you can visit the shopping and museums. Romantic cobbled streets, lazy weekend breakfasts and a lively flea market have made this district a favorite among families and young couples. Hotel was in great location for getting around,it was spotless,aquarium in centre of hotel is a must see.staff very friendly & great service.plenty lifts in hotel.great choice of good at breakfast.would definatley recommend staying here if visiting berlin. 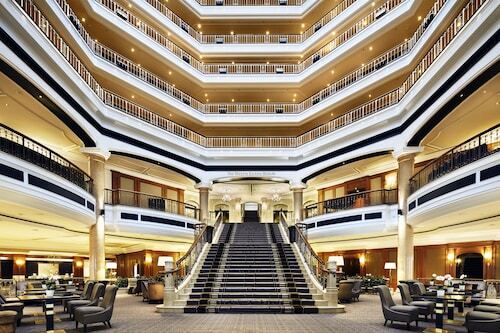 We really enjoyed our five days in Berlin , and the Westin Grand is in a great position , within walking distance of many attractions , and close to UBahn stations , and the 100 , 200 and Tegel airport bus routes , which makes getting around the city really easy . It was close to everything Berlin has to offer - museum island, the Jewish museum, all well worth a visit - as well as Checkpoint Charlie, and the Wall - Brandenberg Gate, Reichstag - five minute walk. .
Centrally situated with excellent transport links makes this hotel an brilliant base from which to see the majority of Berlin whilst staying in an area where there are numerous eating places to enjoy in th evenings. I was in Berlin primarily to enjoy the best hostelries as opposed to the cultural attractions and in this respect can recommend Hops and Barley microbrewery in the East and Brauhaus Georgbrau in Alexanderplatz, the latter being a first class eatery with its own brewery and which is situated riverside. What to discover in Berlin. Opens in a new window. Cool Berlin. Opens in a new window. Berlin street art. Opens in a new window. LGBT destination guide: Berlin. Opens in a new window. The rooms were large for European standards and the pool was decent sized. It was indoor and they kept the room warm enough to make it comfortable. The staff was first-rate. They were always courteous even under pressure. 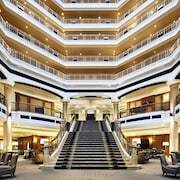 This is a wonderful Hotel we totally enjoyed our stay here. The staff and facilities are 1st class. The views of Berlin from the Loft bar on the 14th floor are stunning. Few cities have quite the same mix of grand buildings, high culture and world-leading nightlife as Berlin. The German capital’s best-known attractions reflect its chequered history, but a stay in Berlin is just as much about exploring one of the world's most modern and creative cities. Book an apartment or an hotel in Berlin's centre to be near the major attractions, or look in one of the city's many distinct areas, each with its own identity, to get a real feel for what Berlin is all about today. Those seeking culture should head to the Berlin Museumsinsel on a small island in the River Spree. Here, you will find six museums focused on classical antiquities, prehistory and early history, as well as 19th-century European art. The museum complex itself was made a UNESCO World Heritage Site in 1999, but if contemporary art is more your thing, visit the Hamburger Bahnhof museum, which is housed in a former railway terminus. If you have more than a few days to spend in this cutting-edge city, head to nearby Potsdam and Sanssouci Park. The 18th-century palace and vast gardens were created by Frederick the Great as a summer retreat and are often compared to Versailles. When it comes to accommodation in Berlin, you’ll find plenty of choice from hip hostels and cool design hotels to grand apart-hotels that rival those in any other major city. 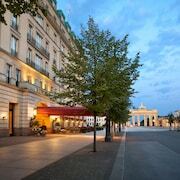 To be close to Berlin’s most well-known attractions, such as the Brandenburg Gate, Museum Island and the Reichstag, stay in a hotel in Mitte in the centre of the city. 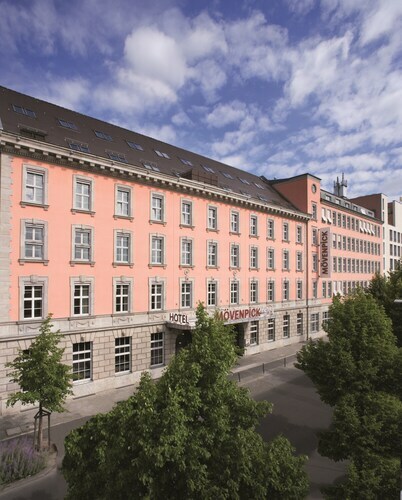 The chic Circus Hotel is centrally located on Rosenthaler Platz and has a lovely courtyard and rooftop terrace. Hotel de Rome, which is housed in a former bank, is also a good choice - the stylish hotel has a spa and excellent Italian restaurant. 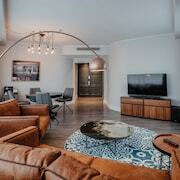 For a more laid-back location, choose a hotel in Prenzlauer Berg, north of Mitte. Here you’ll find tree-lined, cobbled streets lined with boutiques, cafés and restaurants. If you want to splash out, stay in well-to-do Charlottenburg. Here, you’ll find the Kurfürstendamm - shortened to Ku’damm - the legendary shopping street lined with designer boutiques and five-star hotels such as the Waldorf Astoria and Sofitel Berlin Kurfürstendamm. Kreuzberg is known as “Little Istanbul” because of its large Turkish population and as a result, the area has a vibrant, multi-cultural atmosphere. Hotels in Kreuzberg include budget options such as Grand Hostel Berlin Classic, but there's also a mix of boutique hotels and pensions that reflect the neighbourhood's arty, too-cool character. So alongside cheaper accommodation you'll find hotels like the Dude Berlin Mitte, a small hotel set in an elegant mansion house. The adjoining district of Friedrichshain, which used to be part of East Berlin still has an edge, despite gentrification – the legendary nightclub Berghain is located here, after all. Mid-range hotels in Friedrichshain include the relaxed Michelberger Hotel or, if you’re on a budget but want something a little different, Ostel - Das DDR Design Hostel Berlin has a unusual theme – East Germany in the 1970s. 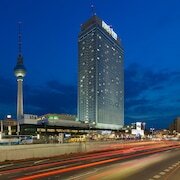 Does Berlin Have Family-Friendly Hotels? There are plenty of family-friendly hotels in Berlin offering facilities such a cots, rollaway beds and children’s menus. You might want to consider booking a hotel with a swimming pool, such as the Pullman Berlin Schweizerhof, on the edge of Tiergarten and within walking distance of the city’s zoo and aquarium. Younger kids – and their parents – will love the dedicated “kindercafes” dotted around the city. They have play areas and special menus for younger guests, alongside coffee and cake for the adults. How Easy is Getting Around Berlin? Berlin is a large city so it’s difficult to visit all the main sights on foot, but there is an efficient public transport network. Consider buying a Berlin Welcome Card for the length of your stay - it gives you unlimited travel on the public transport as well as discounted entry to many museums. You can also board one of the many sightseeing boats on the River Spree or a hop-on/hop-off bus tour. Taxis are also cheap and plentiful. Interested in visiting other historic cities in Europe as characterful as Berlin? 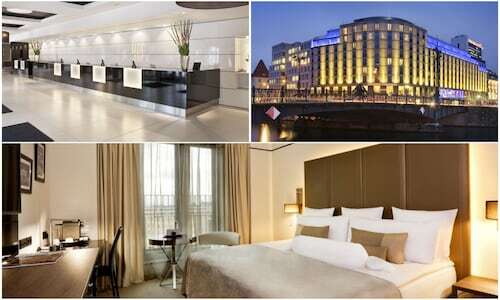 Check out our hotels in Prague or our hotels in Budapest. Explore Berlin with Expedia's Travel Guides to find the best flights, cars, holiday packages and more!